Like a rum punch, only sweeter and berrier. It’s rather like a rum punch, only sweeter. I love the colour and the fact the fruit ingredients (save the limes) are fall-early winter seasonal. Combined with dark rum, it makes a nice winter drink. Combine ingredients in a cocktail shaker and shake with ice. 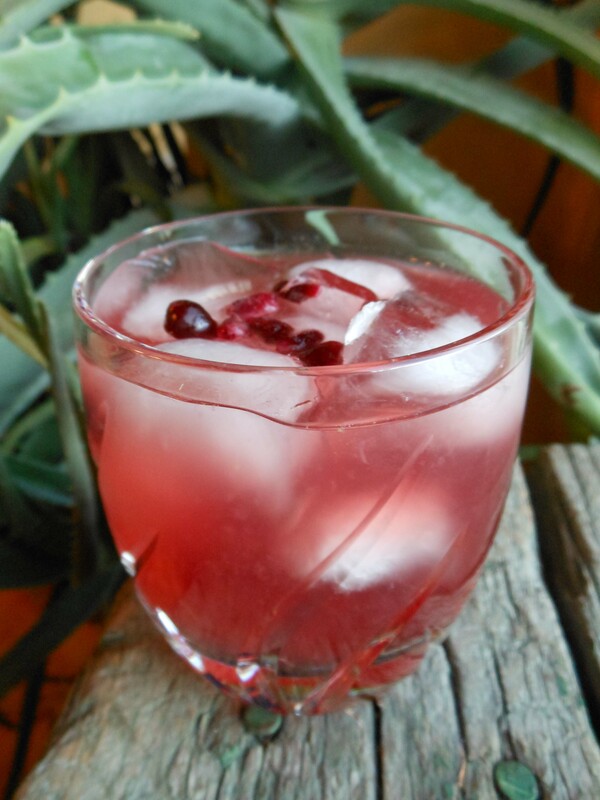 Strain into a rocks glass filled with ice and garnish with pomegranate seeds. *To make simple syrup combine equal parts water and sugar in a saucepan over low heat until the sugar is dissolved. Cool and refrigerate. This entry was posted in Cocktails and tagged daiquiri, Drink of the Week. Bookmark the permalink.